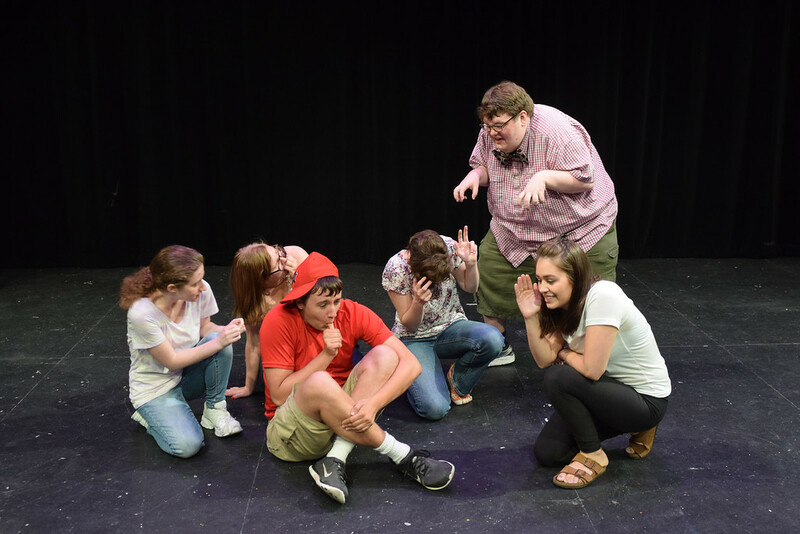 Crossroads Reparatory Theatre may be performing "The Big Bad Bullysaurus" for its children's production, but playwright and 2008 Indiana State University alumnus Tommy Jamerson is sure the message will resonate with people of all ages. "I write children's theatre primarily and wrote this play in 2011 after there were a lot of news reports about bullying and its effects on kids," Jamerson said. "I wanted to write something that would address the issue, be accessible to younger kids and get the message out that you shouldn't bully before it even becomes an issue." Now a professional playwright, Jamerson fell in love with theatre while growing up outside of Chicago, where his parents accompanied him to several shows. "When I came to ISU to study theatre the faculty really embraced and taught me what I needed to make this a career and it spiraled from there," he said. When seeking a children's production to perform this year, Crossroads Rep turned to Jamerson and "The Big Bad Bullysaurus," which opens July 9. The story centers on a paleontologist who, upon learning that her niece is being taunted by a bully, tells a tale about Ryan Rex Jr., a little dinosaur with a big bully problem of his own. During the less than an hour-long production, the audience learns a lesson about friendship and the importance of forgiveness. "It's a fun and sweet production and I just really hope that the show makes people laugh," said Jamerson, who wrote the play several years ago. "Adults are welcome with or without kids by their side because it's the kind of show that even though the target audience is a younger one, I constantly hear adults say that they would enjoy watching the show with or without kids with them. I want adults to get a kick out of the puns and zingers while also taking in moments of learning that will hopefully leave them a smile." Lew Hackleman, director of "The Big bad Bullysaurus" and a retired Indiana State theatre professor, said he's amazed by the cast's preparation and dedication. "By the third rehearsal, there were some members of the cast who already had their parts memorized and others who were halfway there," he said. "Our costume designer has done a nice job, too, of making costumes that children would use when they are ‘play acting' and will relate to the audience. I have a really creative staff to work with for this show." And being able to use a script written by a former Indiana State student is icing on the cake. "It's a tribute to the department that they can turn out graduates that get the work done and end up working in all aspects of production in places all over the world," Hackleman said. "It's neat to have a venue (like Crossroads Rep) that allows students to get experience in a professional setting and work next to professionals before they go on and work in professional theatre." "The Big Bad Bullysaurus" runs at 2 p.m. July 9, 13, 16 and 20 at Terre Haute Children's Museum, 727 Wabash Ave., in Terre Haute. This performance is free with $8 regular admission to the Terre Haute Children's Museum.